There is nothing special about clarifying butter specifically for the paleo plus diet, I just thought I would put it in the title to clarify (I love a good pun). 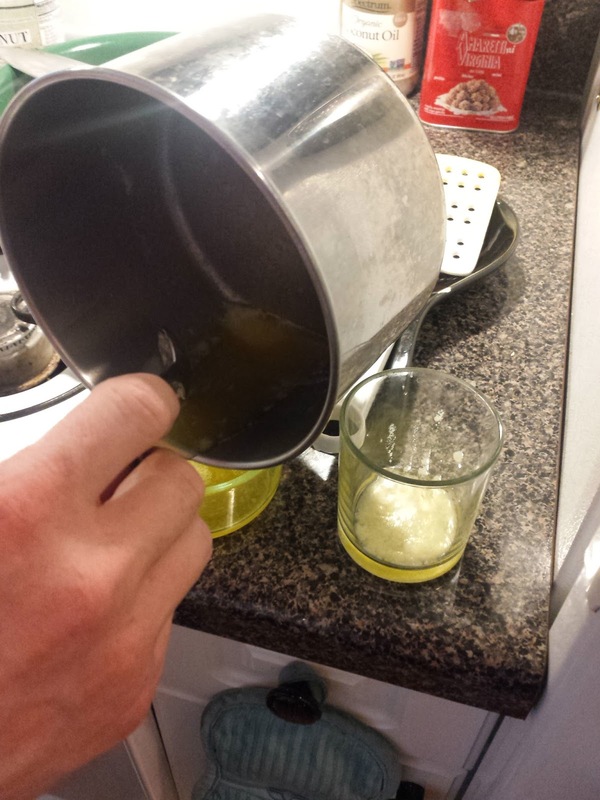 So my first topic is going to be Ghee. This is a specific kind of clarified butter but when you tell hip NPRers that you clarified butter they are going to immediately say "Oh you made Ghee?". They are doing this to "correct" you and it is my suggestion that you respond "uh... Yeah" and never mention it again. Remember it is not your job to inform these people about anything, they have their TED Talks and NPR, you have your whole life. Spending your life explaining things to people who know it all is not a worthwhile prospect. 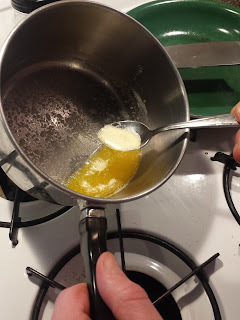 So to those NPR geeks out there that know all about the Ghee, add this to your noggin, Clarified butter and Drawn butter (those two are actually the same thing) are not Ghee BUT Ghee is clarified butter. 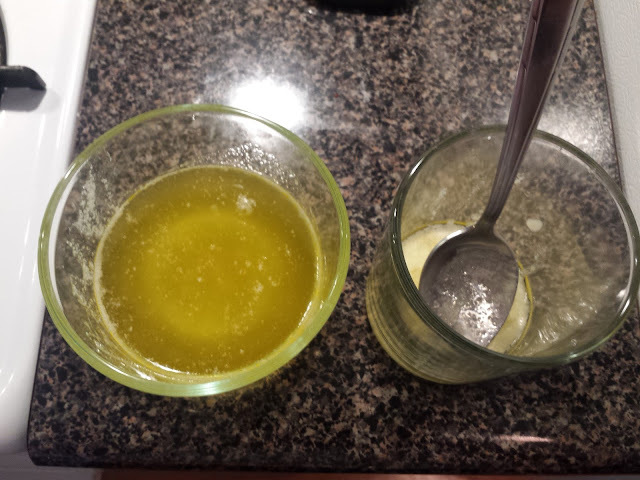 The big distinction here is that Ghee is cooked longer than clarified butter so as to toast the dairy solids. Why clarify butter? Put simply, to give you a fat with a higher cooking temperature. 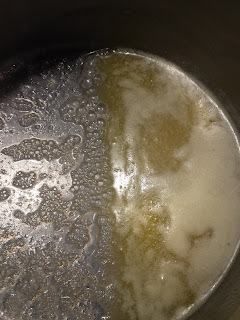 This happens because clarifying butter removes the dairy solids which is that foam that collects while simmering butter and, after it burns, the brown crud you get in your pan before you put in that grilled cheese. Butter, without clarifying will burn at 350°F while clarified butter will take your smoke point up to 450°F, not to shabby. Smoke Point (aka Flash Point): Ever notice your oil releasing a steam or smoke when cooking? This happens to me mostly when I am not prepared to cook and I find myself chopping while I am heating my oil/fat. I look over and there is a faint, but very noticeable, smoke coming off my fat. That does, and does not, mean your fat is ready. If you fry at this point your foods will fry well but if you do not turn your fire down and maintain a temperature slightly lower than you have it, you will risk it flashing, or starting on fire. That is where the term "Flash in a Pan" comes from. 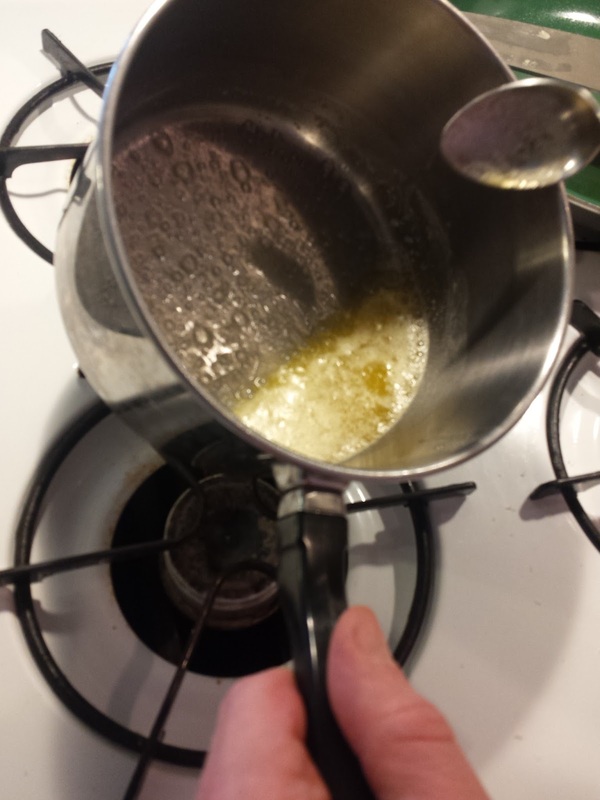 Adding foods to the oil at this point of course will reduce the oil's temperature, but if you do not lower your flame slightly, you will risk the fat or oil flashing. It will also break down faster subsequently penetrating your foods quicker. You can tell when oils are totally broken down because the foods, whatever it is you are frying, will disintegrate inside while leaving the outside crisp (burnt) and often overcooked. A lot of people think frying is an unhealthy cooking style, but I see it very differently, frying is, when done properly, only done to the outside of the foods you are cooking while the inside is steamed by the water in the foods. Keeping my fats and oils as close to their smoke point while frying is my method for delicious success, but again, everyone is different. 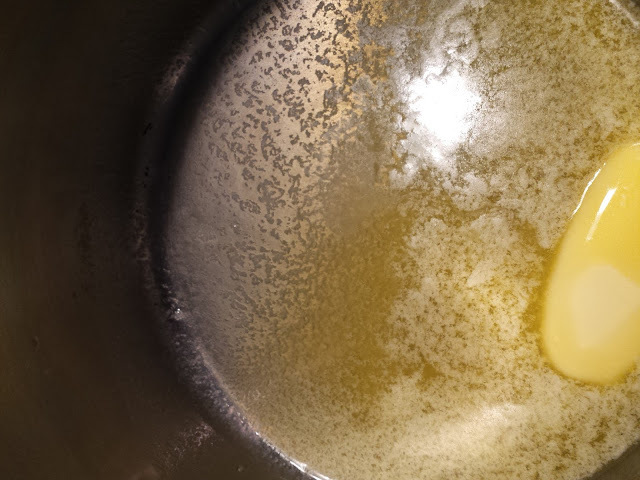 Clarified butter has, strictly speaking, the highest smoke point of any fat you can cook with on the Whals Paleo Plus diet. The reason we use fats and not oils is complex but suffice it to say oils, when heated, break and become damaged at the molecular level. That damage leave those of us that have auto-immune issues in danger of our bodies attacking themselves. Let me be clear I do eat oils like hemp, flax and olive but I never heat them. Those oils I add to my salads or over foods that have already been cooked, never to cook. Get yourself enough butter to work with for the size pan you will be clarifying in. It is probably best to cut it up into smaller pieces unlike my impatient self who just plops in a huge block which will begin to separate before it is completely melted. 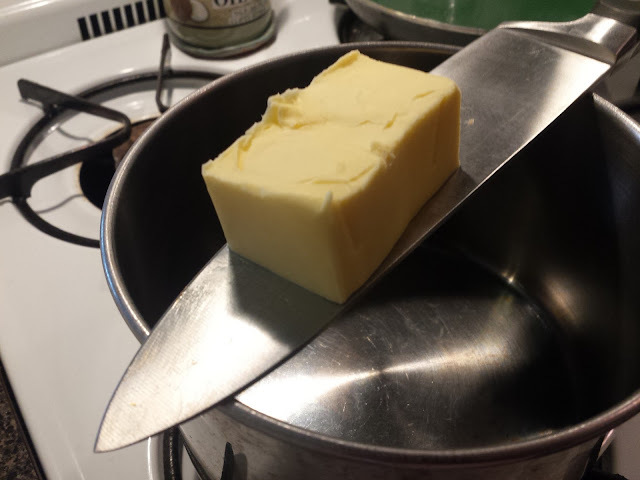 Gently melt the unsalted butter over low heat until the butter breaks down and three layers form. The top layer is a white foam or froth (the whey proteins). 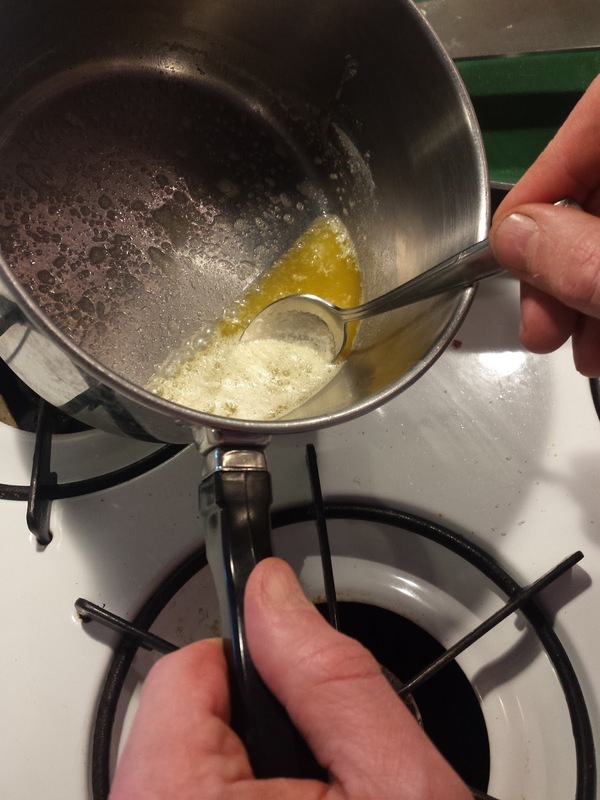 The milk solids will drop to the bottom of the saucepan and form a milky layer of sediment. 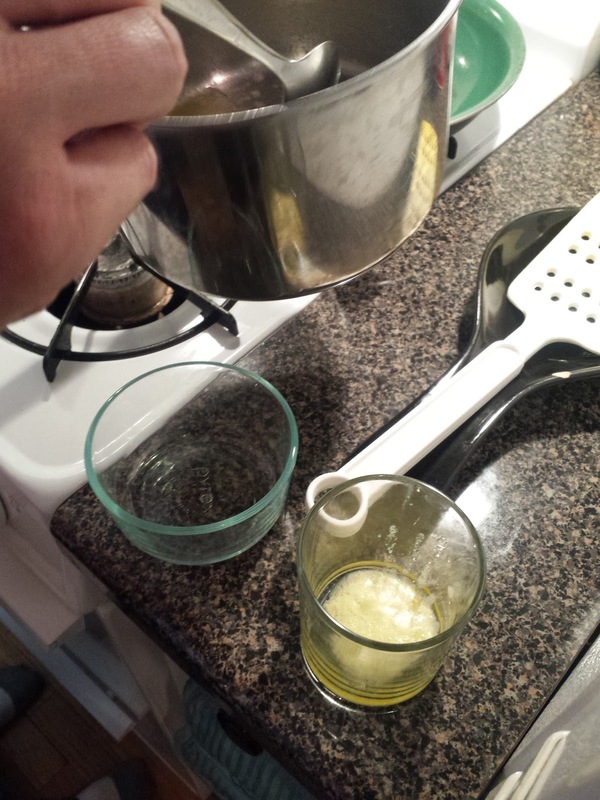 What is left in the middle is a pure golden-yellow liquid called clarified butter. You can see the ring on milk solids I left in but as I spoon the clarified butter out after it has solidified the butter I use will be clarified. It won't be until the final use that the milk solids will be an issue.